In 1988 Dr Barry Hopkins and Dr Brian Lloyd relocated their private consulting rooms to St John of God Healthcare, Subiaco. Later that same year Dr Mark Hands joined and St John of God Cardiology was established. This was the first hospital-based private cardiology practice in the state. In 1991 Dr Eric Whitford joined and a 24 hour on-call private cardiology service was complemented by noninvasive testing including the first colour flow echo Doppler studies offered in private practice in Western Australia. Dr Mark Hands undertook Chairmanship of the practice in 1992 and continues today in this capacity. In January 1995 the practice relocated to the southwest corner of the hospital and expanded its services to Joondalup, Busselton and Mirrabooka. In 1997 the name was changed to Western Cardiology providing an identifiable brand for our services. In July 2006, Dr Luigi D’Orsogna formally joined the practice to provide a complete paediatric cardiology service. In January 2006, Western Cardiology relocated to new purpose-built rooms at the Subiaco Medical Clinic (on-site) on McCourt Street. The rooms have been designed with a strong emphasis on patient comfort, efficient service delivery, privacy, and confidentiality. The rooms have allowed us to perform additional noninvasive services thus decreasing waiting times at the clinic. Undercover parking and direct access to pathology and pharmacy are provided. State-of-the-art cardiac catheterisation laboratories are located directly on the floor above the rooms and a dedicated Coronary Care Unit is close by on the same floor. To facilitate our growth and expansion over the years, expert cardiologists have been carefully selected and recruited, including Dr Steve Gordon, Dr Philip Cooke, Dr Paul Stobie, Dr Johan Janssen, Dr Brendan McQuillan, Dr Eric Yamen, Dr Chris Finn, Professor Joseph Hung, Dr Michelle Ammerer, Dr Devind Bhullar, Dr Andre Kozlowski, Dr Tim Gattorna, and Dr Deane Lim (paediatric cardiologist). Cardiology tests available include echocardiograms, exercise testing, stress echocardiograms, thallium testing, Holter monitoring, event monitoring, ambulatory blood pressure monitoring, ECGs, pacemaker & defibrillator checks and coronary calcium CT scanning (HeartRisk scan). We continue to provide a 24-hour, 7 days per week, on-call service for our patients. 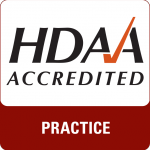 Western Cardiology is an HDAA accredited practice.